SF-Lite is the newest addition to the Speedflow range, and this is the most technologically advanced hose system available. 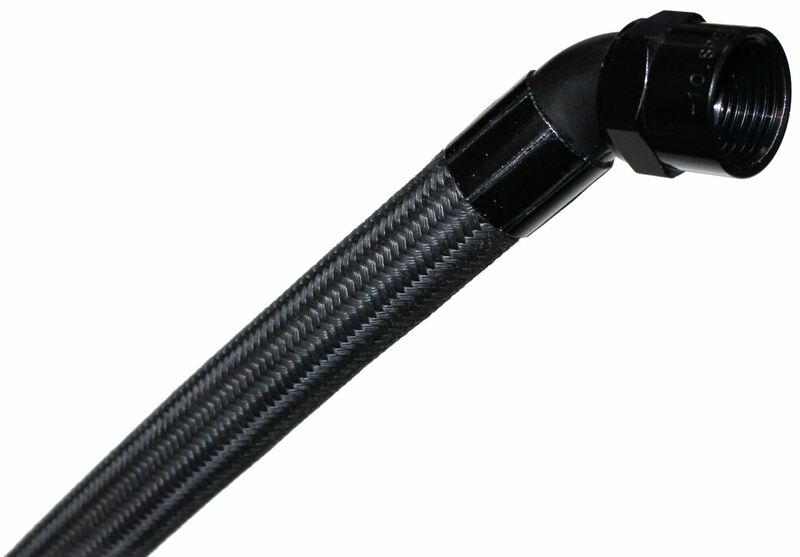 The Hose has carbon impregnated anti-static PTFE inner tube that is manufactured with a smoth bore and convolutions on the outside which allows for improved flexibility. Being a smooth bore hose, there are no voids that can create turbulence or trap debris as commonly found with fully convoluted hose. SF-Lite utilises the new crimp system, and leightweight hose end series. The majority of the angled hose ends are made from a unique one piece formed bend that offers the most compact hose end on the market with exceptional strength and light weight. The SF-Lite hose, is leight weight, abrasion and heat resitant. The working pressure rating will be reduced by 1% per 1C at temps above 130C up to a maximum of 180C.